J.D. Delafield is the President of Delafield Hambrecht, Inc. Previously, he co-founded WR Hambrecht + Co., an Internet and auction technology driven investment bank, and held a number of positions including Chief Operating Officer. Prior to WR Hambrecht + Co., J.D. worked at Morgan Stanley in investment banking in New York and Singapore and at The Coca-Cola Company in Beijing. J.D. holds a BA from Princeton University and an MBA from Harvard Business School. Andy Lufkin founded the Delafield Hambrecht Micro Cap Value Fund in June 2004. His resume includes over 25 years of finance either in investment banking or investment management. Mr. Lufkin joined Delafield Hambrecht, Inc. in 2003 as the firm's Chief Financial Officer. Prior to joining DHI, he spent 17 years in investment banking at Donaldson, Lufkin & Jenrette (ten years), Waechter Lufkin LLC (five years) and WR Hambrecht+Co (two years). Before joining DHI, he served as Chief Operating Officer and Chief Financial Officer for a New York-based hedge fund. Mr. Lufkin graduated from Colby College and received an MBA from Harvard Business School. John joined Delafield Hambrecht, Inc. in March 2007, and brings 21 years of finance, sales and marketing, operations and senior management experience to the firm. Prior to joining DHI, John served as CEO of Saltmine, Inc., an interactive design and development software firm headquartered in Seattle, WA. Saltmine, a portfolo company of Waechter Lufkin, LLC., was sold in 2006. John co-founded Waechter Lufkin in 1997, and served as Principal of the Seattle-based broker-dealer specializing in seed-stage private placements. Prior to this, John served as Vice President of Marketing and Operations for Northland Communications Corporation, a national provider of cable and internet services. Prior to Northland, John helped form the data and video communications division of GTE, and he began his career in sales and marketing with the Xerox Corporation. John graduated from Whitman College and received an MBA from the University of Washington. Quynh rejoined Delafield Hambrecht, Inc. in March 2016. She originally joined DHI in 2002 as the firm's Biotechnology Analyst, eventually becoming a portfolio manager before her departure in 2009. In the interim years, Quynh raised her family and returned to work, serving as the Director of Investor Relations at Trupanion, Inc. then at Zillow Group, Inc. Prior to joining DHI she spent six years as a research scientist at the University of Washington working with science luminaries Maynard Olson, Leroy Hood, and Michael Smith Ph.D. Ms. Pham received both her undergraduate and graduate degrees from the University of Washington. 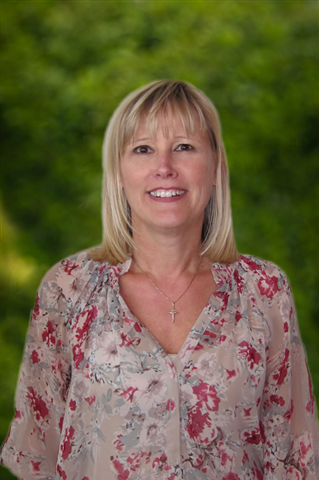 Carol joined Delafield Hambrecht in March 2002 (with a one-year break in service 2017/18) and brings over 16 years of administrative and operations experience to us. Prior to Delafield Hambrecht, Carol spent a couple of years with Nimble Technology, Inc., a data integration software company in Seattle, Washington. Previous to that, she spend several years working with Tom Alberg at Madrona Venture Group and McCaw Cellular Communications. In addition, Carol spend several years working for Perkins Coie in their Corporate Securities group. discretion were essential. A native of Boston, MA, Claire graduated from Katherine Gibbs School where she received her professional certification in Executive Administration.